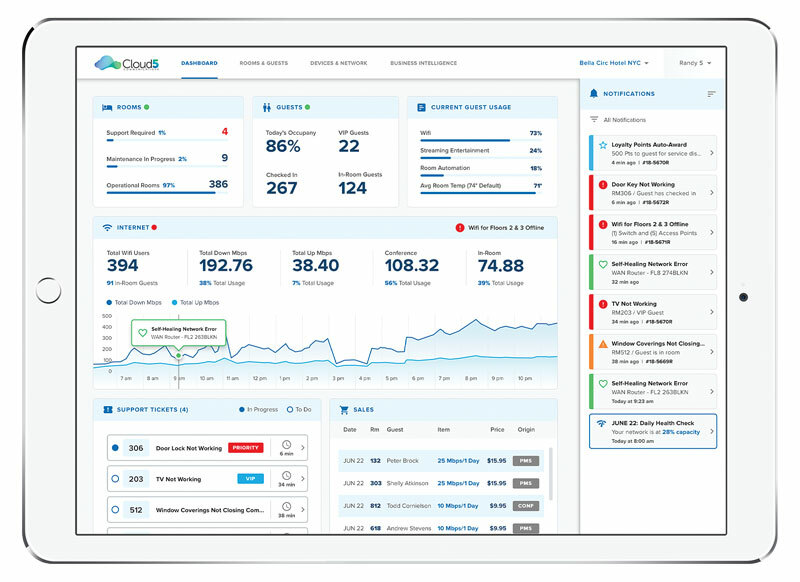 Cloud5’s HDX concept gives hoteliers a holistic view. 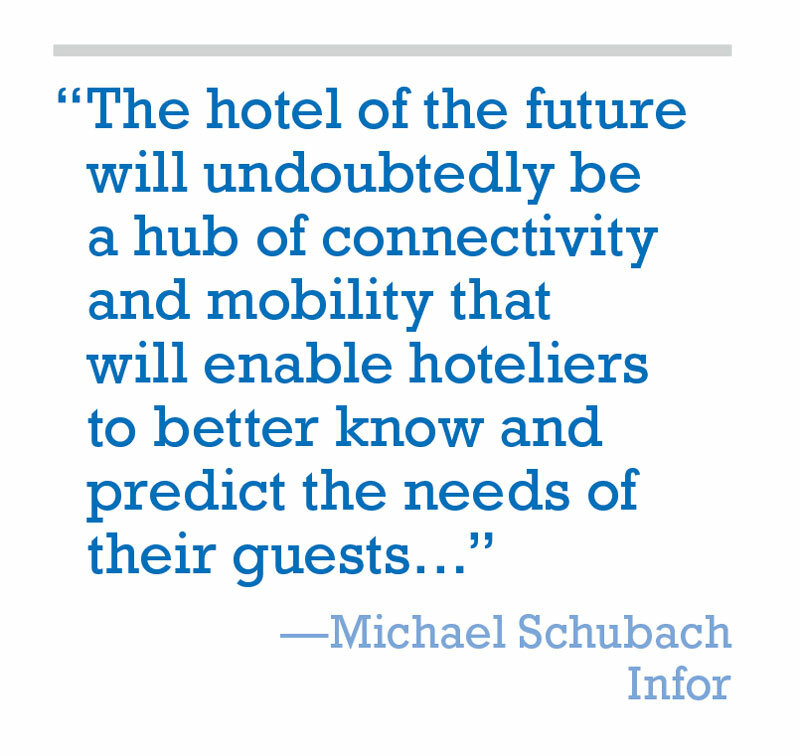 Voice activation, the Internet of Things (IoT), artificial intelligence (AI)—there are a multitude of ways hotel technology is morphing, enabling guests to connect with hoteliers in the ways that they want for the needs and desires they have. From the pre-stay booking experience to guest-facing devices on property, the back-of-house solutions that make everything run smoothly, and the technology infrastructure all of it depends upon, all areas of hotel technology are continuously evolving, creating a cohesive, frictionless experience for guests. One thing is for sure when it comes to hotel technology: Owners and operators shouldn’t be focused on one thing in particular, but the convergence of tech solutions and platforms. A holistic approach is necessary—because that’s what guests expect. 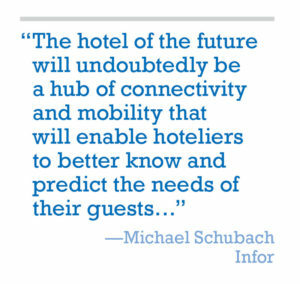 So what should hoteliers be keeping their eyes on for the future? 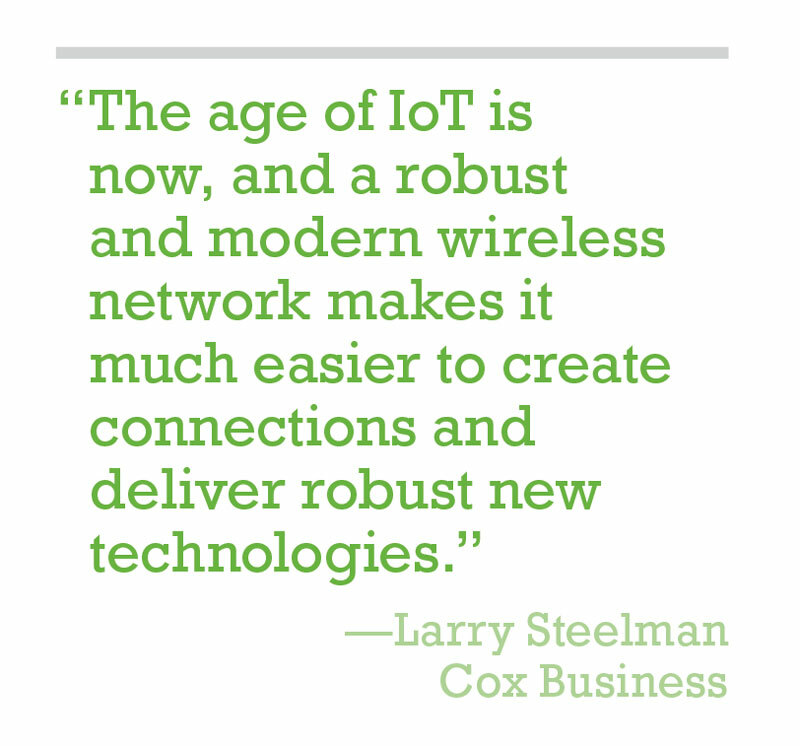 “The next wave of WiFi, 802.11ax, offers greater capacity for devices, and throughput and will be available in the next 12 to 18 months,” Detwiller said. Platforms like Nuvola’s enable hotels to offer better guest service. “Today’s guests are bringing many devices into hotels—a recent study showed the average millennial business traveler brings five devices—and many guests are using them for bandwidth-intensive activities such as streaming video and other over-the-top (OTT) content,” Birnbaum added. 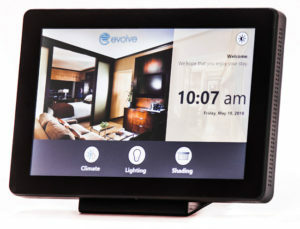 Evolve Controls enables guests to control their room environment. “As a provider who has focused a lot on video technology, we see voice technology as a complementary means for the guest to communicate and interact with the hotel,” Heermans said. Lally noted that while trends like voice may start out as a fad, these solutions can be customized to the hotel to provide real ROI. “Voice control is not only a cool amenity, but it can also help cut down on service calls by allowing guests to order room service or submit housekeeping tickets using the voice interface,” he said. 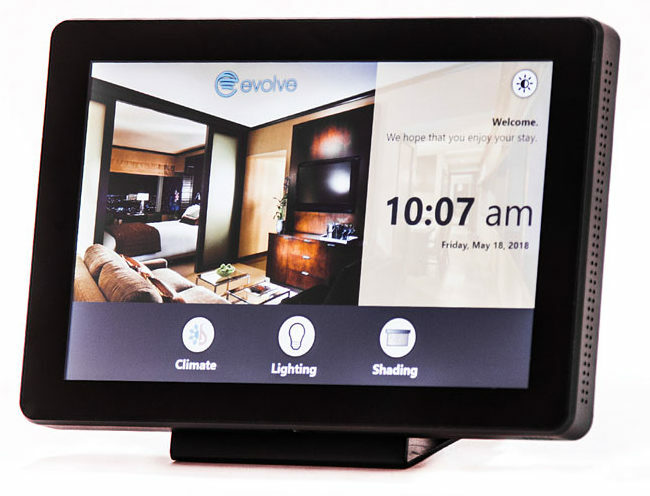 John Swain, director of product management, Evolve Controls, noted a good indication of a technology’s acceptance in hospitality is its use across multiple verticals. “We can look to the smart home to provide guidance on how best to use the technology,” he said. 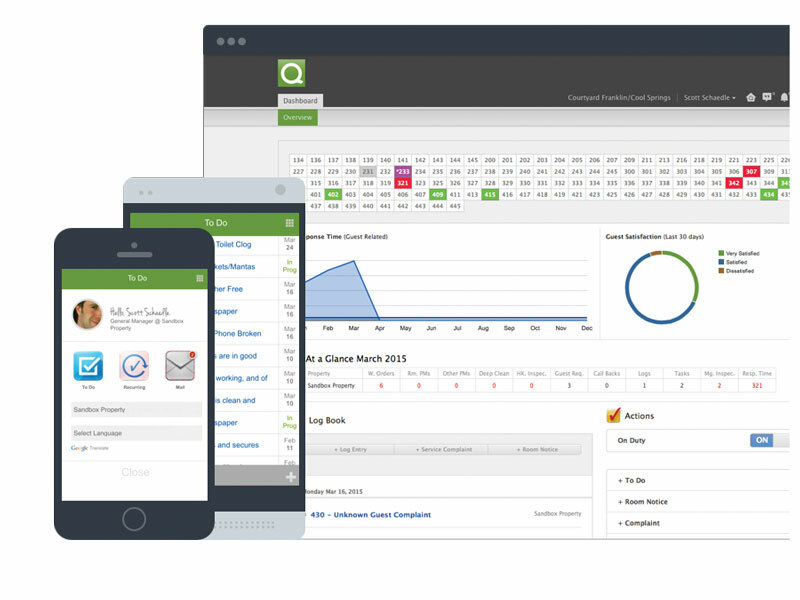 Solutions like Quore’s provide valuable data to hotels. Swain added that data overload is another challenge. “Today, we have data overload which turns into noise. Vendors need to harness machine learning and AI to consume the mass amount of data and aggregate it into a message that is simple for hoteliers to consume and act upon,” he said. Abello added, “Digital documentation of a request creates a sense of security for the guest that a need or issue will be resolved quickly while at the same time allowing the hotel’s staff to keep track of each task. This is where the CRM comes into play as a cloud-based system creates a living document that can better anticipate guests’ needs and generate more loyalty through noting preferences. 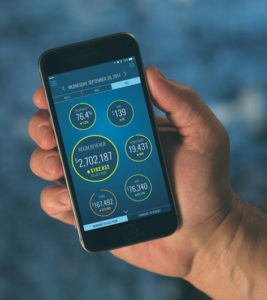 Mobile apps like M3’s enable hoteliers to access data on the go. 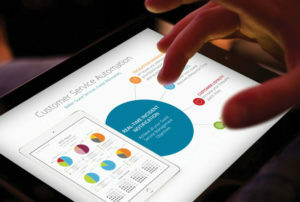 Watson has three tips for leveraging data to drive revenue. The first is to adopt hotel-specific software. “When it comes to financials, hoteliers have a unique set of needs that must be met by a technology that is developed, designed and deployed to make a hotelier’s life easier,” he said. “Many companies are enticed by the promises of an ERP solution, only to find that the one-size-fits-all approach, add-ons and contracts are anything but flexible for the hotel industry. 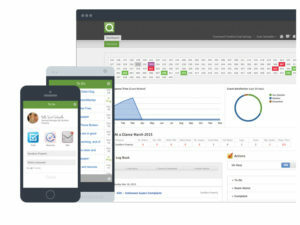 An ERP-lite solution addressing the specific needs of hotels is more likely to work alongside hoteliers to implement customized reports and features that apply to other brands within the industry. This combination of offerings gives hoteliers the freedom to spend less time compiling and processing data and more time serving guests and motivating employees. 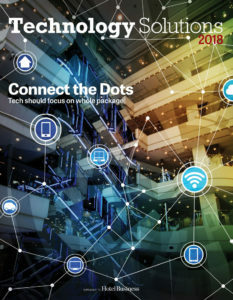 Holzberg noted that his company is leveraging vast sources of device-based data, including inputs across IoT, which allows it to monitor and analyze performance, take proactive corrective actions based on network events, and present opportunities to enhance guest service and operational efficiency. “It’s really quite simple,” Holzberg said. “Guests want to feel welcomed, unique and just plain special. The industry can go a long way to achieve that for guests by just going back to the basics. Use the guest’s name. Look them in the eye. Ask them how their day is and how you can make it spectacular. That’s really what every guest wants—besides a great bed, clean bathroom and flaming WiFi that handles their multi-device video casting, social media and email. DO: Watch what products or technologies are making their way into the home to help determine what would translate into the hotel experience. DON’T: Have three to five vendors for multiple services when it can all be done from one platform, ensuring there are no gaps in communications and streamlining efficiencies. DO: Hotels that are subscribing to user-friendly technology on both the front and back end are performing better, seeing a stronger guest satisfaction rate, and finding ways to work more efficiently, saving time and money. DON’T: Launch technology that isn’t adequately monitored or supported. DO: Try out technology in incremental steps. Piloting, user testing and iterating allows testing out real-life impact to guest, staff and operations before making a large decision to invest. DON’T: Providing a solution that is “almost there” is worse than providing a complete end-to-end solution late in the game. Half-baked solutions ruin the credibility of a technology. DO: Look for solutions that can provide a variety of control methods that could suit different room setups and different guest preferences. DON’T: Rush into decision making. Your initial perspective of what you’re buying may not match the reality of the product. 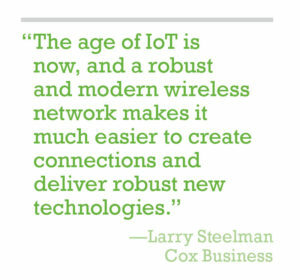 DO: Because technology can change so quickly, it’s critical that systems are designed to be redundant. DON’T: Think that all technology is created equally. Technology that works in a manufacturing plant or hospital will have to be heavily customized to fit in the hotel sector. Customization comes at a cost—and it’s usually a high cost. DO: Plan for and act beyond tomorrow, so you’re not playing technology catch up and paying for it with lower guest scores. DON’T: Neglect your data and its power to inform your strategy and decision making, increasing competitive position and guest loyalty. DON’T: Ignore the importance of sustainability, especially as this has become a frequently heard demand from millennial travelers.